The sixth edition of the No Make No Life Beauty Box from Japan is here; it contains five full-sized products, of which only one is a makeup item this month. 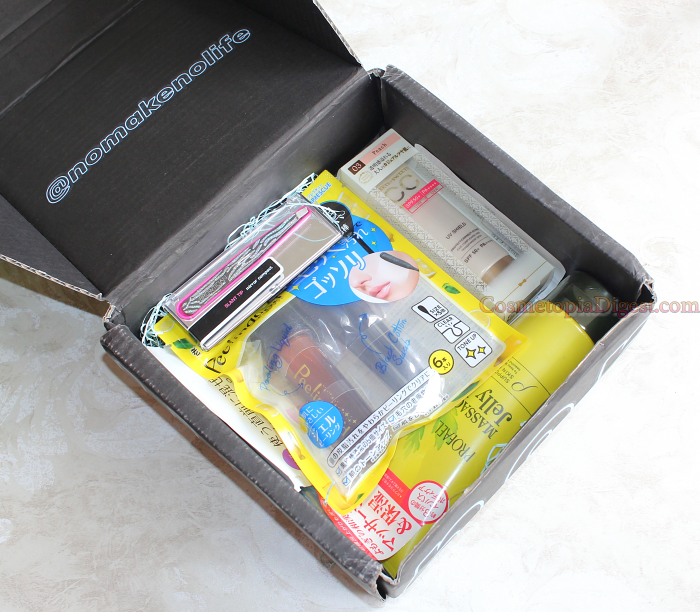 No biggie; I prefer receiving skincare these days. For those who came in late, NMNL is a monthly beauty subscription from Japan that costs just $29.99 a month, INCLUSIVE of international shipping charges! It costs even less when you go in for a longer subscription. 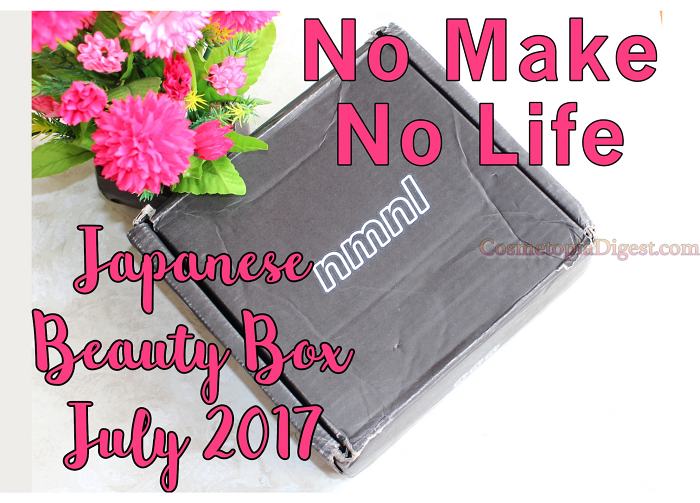 Scroll down for the review and unboxing of the No Make No Life Beauty Box for July 2017. For a detailed look at the contents, watch the video below. Do subscribe, and give me a thumbs-up, while you are at it! Overall, this was a very good month, with very intriguing and useful products, with just the one exception. This is precisely why I think face-colour is a no-no in beauty boxes. You rarely get the shade right, particularly if the box is available to a multi-ethnic populace. The rest of the products more than make up for the disappointment! NMNL have released three August spoilers, and I can confirm that there is one bath product, and one body product, and one fun colour cosmetic product. To subscribe, go here. At just $29.99 a month inclusive of worldwide postage, you cannot go wrong!